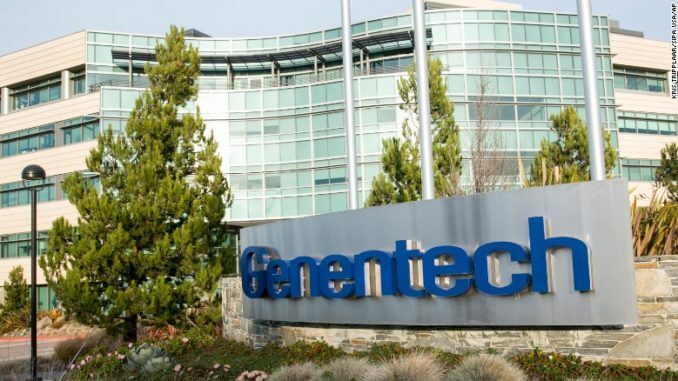 Genentech, a member of the Roche Group (SIX: RO, ROG; OTCQX: RHHBY), announced today that the U.S. Food and Drug Administration (FDA) has granted accelerated approval to Venclexta® (venetoclax), in combination with a hypomethylating agent (azacitidine or decitabine), or low-dose cytarabine (LDAC), for the treatment of people with newly-diagnosed acute myeloid leukemia (AML), who are age 75 years or older, or for those ineligible for intensive induction chemotherapy due to coexisting medical conditions. AML is the most common type of aggressive leukemia in adults and has the lowest survival rate for all types of leukemia. This accelerated approval was based on results from the M14-358 study and the M14-387 study in people newly-diagnosed with AML including those who were ineligible for intensive induction chemotherapy. In M14-358, the rate of complete remission (CR) was 37 percent (n=25/67) and the rate of complete remission with partial blood count recovery (CRh) was 24 percent (n=16/67) for those who received Venclexta plus azacitidine. For those who received Venclexta plus decitabine, the rate of CR was 54 percent (n=7/13) and the rate of CRh was 8 percent (n=1/13). M14-387 showed a CR rate of 21 percent (n=13/61) and a CRh rate of 21 percent (n=13/61) for those who received Venclexta in combination with LDAC. The most common serious side effects of these regimens (occurring in at least 5 percent of patients) were low white blood cell count with fever, pneumonia, bacteria in the blood, inflammation of tissue under the skin, device-related infection, diarrhea, fatigue, bleeding, localized infection, multiple organ dysfunction syndrome and respiratory failure. The FDA’s Accelerated Approval Program allows conditional approval of a medicine that fills an unmet medical need for a serious condition. This approval of Venclexta is based on surrogate endpoints that are reasonably likely to predict clinical benefit, including CR and CRh. Continued approval for this indication may be contingent upon verification and description of clinical benefit observed in confirmatory trials. The supplemental New Drug Application (sNDA) was granted Priority Review, a designation given to medicines that the FDA has determined to have the potential to provide significant improvements in the treatment, prevention or diagnosis of a disease. In addition, the FDA previously granted two Breakthrough Therapy Designations for Venclexta in people with previously untreated AML ineligible for intensive chemotherapy, either in combination with a hypomethylating agent or LDAC, based on results from these two studies. With this approval, Venclexta is available in the U.S. for two forms of blood cancer. The M14-358 study (NCT02203773) is an open-label, non-randomized, Phase Ib dose escalation and expansion study evaluating the safety and efficacy of Venclexta in combination with hypomethylating agents, azacitidine or decitabine, in newly-diagnosed people with AML who were 60 years or older, or ineligible to receive intensive induction chemotherapy due to coexisting medical conditions. Study endpoints included complete remission rates, overall survival and safety. In M14-358, the rate of CR was 37 percent and the rate of CRh was 24 percent for those who received Venclexta plus azacitidine. The median follow-up for this group was 7.9 months (0.4-36 months). At the time of analysis, for patients who achieved a CR, the median observed time in remission was 5.5 months (0.4-30 months). For those who received Venclexta plus decitabine, the rate of CR was 54 percent and the rate of CRh was 8 percent. The median follow-up for this group was 11 months (0.7-21 months). At the time of analysis, for patients who achieved a CR, the median observed time in remission was 4.7 months (1.0-18 months). 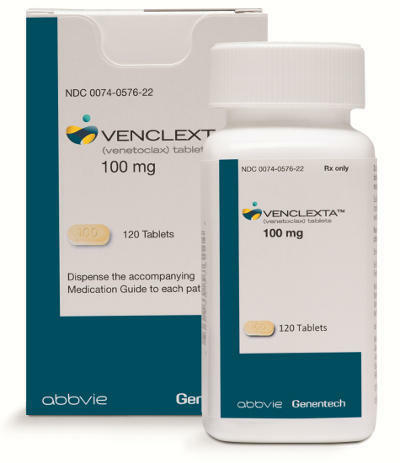 The most common adverse reactions with Venclexta plus azacitidine were nausea, diarrhea, constipation, low white blood cell count with or without fever, low platelet count, bleeding, swelling in the arms, legs, hands and feet, vomiting, fatigue, rash and low red blood cell count. 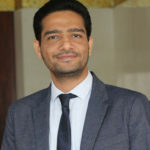 The most common adverse reactions with Venclexta plus decitabine were low white blood cell count with or without fever, constipation, fatigue, low platelet count, stomach (abdominal) pain, dizziness, bleeding, nausea, pneumonia, infection in the blood, cough, diarrhea, low blood pressure, pain in muscles or back, sore throat, swelling in the arms, legs, hands and feet, fever and rash. The study showed the rate of CR and CRh was 21 percent for those who received Venclexta plus LDAC. The median follow-up for this group was 6.5 months (0.3-34 months). At the time of analysis, for patients who achieved a CR, the median observed time in remission was 6.0 months (0.03-25 months). The observed time in remission for this regimen was defined as the time from the start of CR to the time of the data cut-off date or relapse from CR. The most common adverse reactions with Venclexta in combination with LDAC were nausea, low platelet count, bleeding, low white blood cell count with or without fever, diarrhea, fatigue, constipation and difficulty breathing. Acute myeloid leukemia (AML) is the most common type of aggressive leukemia in adults, which has the lowest survival rate for all types of leukemia. In 2018, it is estimated there will be nearly 20,000 new cases of AML diagnosed in the United States. Many AML patients older than age 60 are unable to tolerate intensive induction chemotherapy treatment. You are receiving this email because you have signed up for Genentech News. If you no longer wish to receive these emails, you can unsubscribethescipreneur@gmail.com from this list. Copyright (C) 2018 Genentech All rights reserved.